Advocating for children in foster care allows volunteers from Court Appointed Special Advocates (CASA) to stand up for a child who can’t speak for themselves. CASA are volunteers who get paired with a child in foster care and advocate for abused or neglected children, according to their website. In 2018, 5,842 children in Tarrant County were victims of child abuse and neglect, and 685 of these children were removed from their homes and placed in foster care, according to their website. 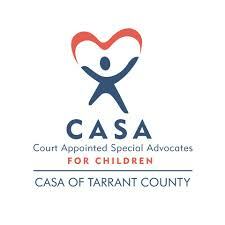 CASA of Tarrant County had 481 volunteers that served a total of 1,155 children in 2018, according to their website. April is National Child Abuse Prevention Month, and CASA of Tarrant County looks to bring more awareness to children in need. Being a CASA volunteer requires a 12-18 month time commitment, the average length of a court case, according to Catelyn Devlin, CASA grant writer. She said those volunteering to be an advocate should honor that time commitment. “We don’t want another adult coming in and out of a child’s life,” Devlin said. Volunteers spend 12-15 hours per month working as an advocate, according to their website. Devlin said this could include attending parent-child visits, going to a foster home, going to the child’s basketball game or art fair, visiting them at school, talking to their teachers and checking-in with their counselors. CASA advocates receive training before being assigned to their first case. Training includes learning about courtroom procedures and the consequences of abuse and neglect, according to their website. “We learn so much about how trauma impacts children, not just emotionally, but physically and in their development,” she said. Training can happen after work hours or on Saturdays, and there is some homework, Conway said. There is also on-going training for volunteers. Abdel Casiano, a volunteer advocate and TCU graduate, became involved with CASA after interning with them. He is currently working on his third case. He has worked with young children and teenagers, and he has learned that each situation needs its own approach. Working as a CASA volunteer with younger kids requires volunteers to focus on other goals. The advocates do not have to do everything on their own, though, as they each have a CASA supervisor to lean on if they are in need of help. “I use my CASA supervisor on a regular basis, and I meet with that person at least once a month,” Conway said. Conway has seen the reward for the children from being a volunteer. Casiano also emphasized how important it is to advocate for the children. “If you probably add up all your Netflix time or time you spend on YouTube or Instagram or Facebook, like an hour gone, that’s an hour you could’ve done a quick visit to a child placement center that has to be done every month or a quick phone call to the attorney that has to be done every three months,” Casiano said. To find out more information on becoming a volunteer, you can attend a one-hour informational session or visit their website.